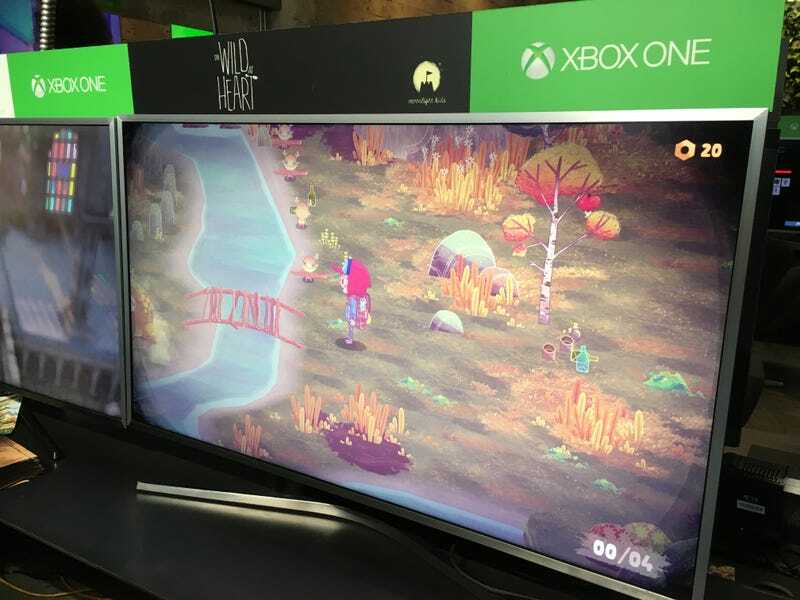 Another very cool Xbox One demo at GDC is The Wild At Heart, which is sort of like Pikmin meets EarthBound. I realize that describing a game like that is bordering on irresponsible since it may give people heart attacks. But what else would you call a game about a kid with Pikmin-like pals who root through trash bags?